H. Adams, 1866, Proc. Zool. Soc. London 1866: 376. 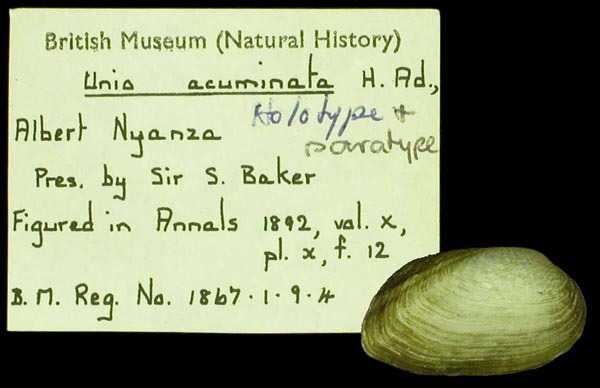 Type(s): HOLOTYPE BMNH_1867-1-9-4, Albert Nyanza. E.A. Smith, 1888, Proc. Zool. Soc. London 1888: 56.